The commercial space company Blue Origin completed another rocket launch from West Texas Sunday morning, marking the fourth time the company owned by billionaire Amazon founder Jeff Bezos has reused a rocket booster. 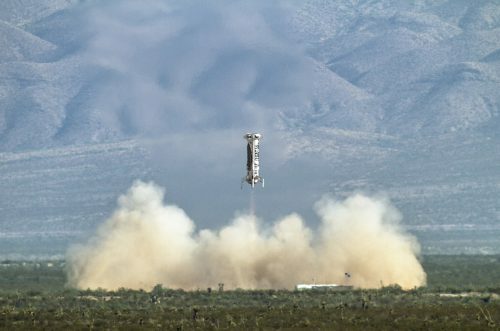 The company’s New Shepard space vehicle blasted off just after 9:30 AM on Father’s Day from the company’s test facility north of Van Horn. Some West Texans and Blue Origin employees gathered on the side of the highway to watch and take pictures. It was the fifth test since New Shephard first took flight in May of 2015, and the first time the company has live-streamed video of a launch, a step in a more public direction for the historically-secretive company that nevertheless still fully controls its own messaging and marketing – Blue Origin has never allowed members of the media inside its sprawling West Texas facility. The test flight lasted all of about 20 minutes and was apparently successful. Blue Origin’s reusable rocket again landed safely back on the ground, as did its crew capsule. Employees narrating the live-stream called it an “impeccable” landing. During the test, one of the parachutes that carries the craft’s crew capsule back to Earth failed on purpose. Crews will now be combing over the data to see how exactly the capsule and the rocket performed this time. Blue Origin so far hasn’t conducted any tests with people on board New Shephard, but the company has said it could do that by next year. See more images and video from Sunday’s fourth Blue Origin launch. 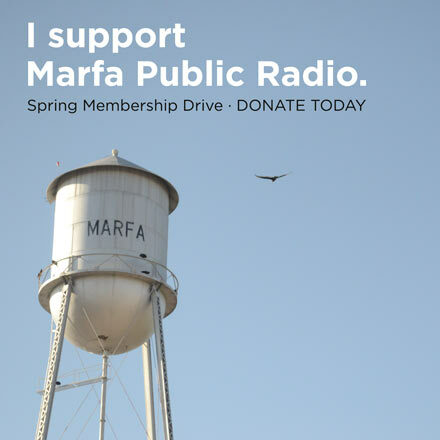 This entry was posted in KRTS News and tagged Blue Origin, Commercial Space Industry, Jeff Bezos, New Shephard, Rocket Launch, Space, Space Exploration, Space Technology, Van Horn, West Texas. Bookmark the permalink.